With every passing year, the number of people suffering from vision problems is increasing exponentially due to different reasons that range from loss of flexibility of distance vision to aging vision. While the culprit is partly aging, a major reason is modern, sedentary lifestyle. Constant working on computers, binge-watching TV series, use of fluorescent lighting, air conditioning, and lack of exercising – all of these habits exert additional strain on your eyes and cause blurry vision. So break your poor vision habits and start exercising for overall health because that will not only help you stay fit but also keep a number of eye diseases away. Continued exposure to the TV screen and prolonged use of computer lead to dry eyes and dry eyes cause headaches, eye strain and blurry vision. When the eyes are absorbed in the screen, the blink rate drops from 20bpm to 6-8bpm. So the next time you feel the strain, start blinking and it will lubricate the eyes while refreshing your brain to process new visual data more efficiently. This is a highly effective eye relaxation technique that you can use every time your eyes feel tired and worn. All you need to do is cup your hands over the socket of your eyes to create gentle pressure. Keep your eyes closed and stare into the dark space while staying focused on the distance. Hold the pressure till you see all the residual tones fade to black. This exercise will work to reset your vision, lubricate your eyes and allow your eyes to rest and relax. 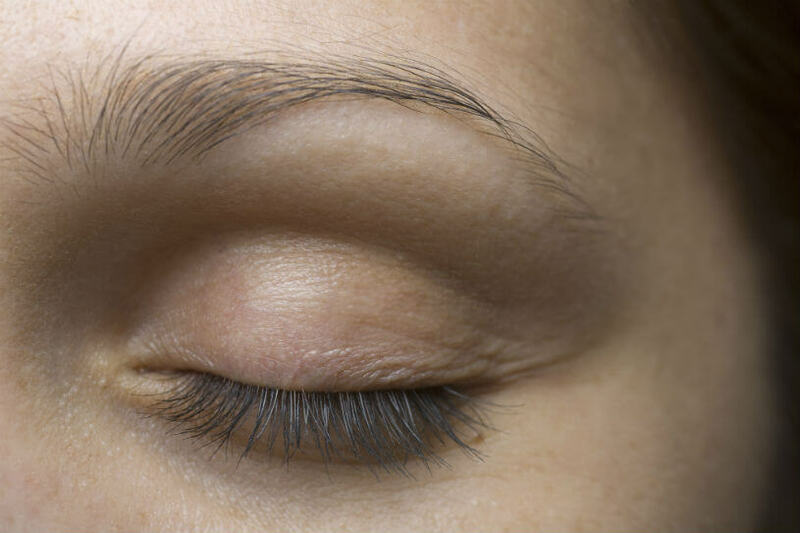 Do this exercise for at least 30 seconds and relieve the stress around your eyes. This eye exercise will increase the flexibility of your eye muscles and improve your vision. Visualize a gigantic 8 almost 10 feet away from you and turn it on its side. Now sketch it with your eyes slowly for a few minutes – first clockwise and then anticlockwise. Be perseverant with this and it will help maintain clear vision. Roll your eyes to the right and then slowly shift your gaze to the left. Keep doing the same thing but in opposite directions. Then move your gaze in different directions by looking from right to left and then up and down. You can also draw geometric figures with your gaze. Repeat the process for five to ten times. To keep your eyes from getting tired at work, take a 20-second break every 20 minutes and focus on something that is located at least 20 feet away from you. This exercise helps prevent digital eye strain and eye damage in the long run. People with glasses often get lethargic at gazing and this is a major reason they fail to maintain healthy vision. To do this exercise you need to take off your glasses and hold one of your thumbs close up and the other at your arm’s length. Start by focusing on your thumb held close up, followed by the one that’s at your arm’s length, then focus on something that is sitting across the room and finally on an object that is really far away like across the road. While you do this exercise make sure, all the four points are situated along the same line of sight so the change in focus in subtle. Spend 2 seconds on every object and try to obtain a clear image of every item. Doing these eye exercises for several minutes every day will strengthen your eye muscles and improve your vision naturally but the best way to be really sure that your eyes stay healthy, is to visit an ophthalmologist regularly. Book an appointment with an ophthalmologist in Fresno today to find eye diseases early on and prevent long-term vision problems.